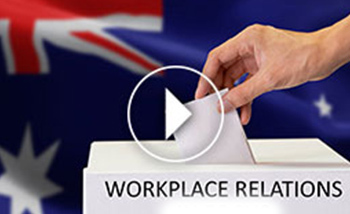 This was the first in a series of three examining the workplace relations issues looming large on the reform agenda. We tackled the big-ticket IR issues that should be on your radar, and the implications for your business, with this first session concentrating on compliance issues. In this one-hour live and interactive session, three specialists from Ai Group Workplace Lawyers discussed the key workplace relations developments of 2018 (as well as a few on the horizon for 2019) and what they could mean for your business. Modern Slavery laws: How well do you know your supply chain? The Commonwealth and New South Wales Governments have introduced new legislation that will require large businesses to annually report on how they reduce the risk of modern slavery occurring in their operations and supply chains. In this online event, Ai Group discussed the NSW and Commonwealth modern slavery reporting regimes and set out what businesses should be doing to comply. Casual Conversion – the Casual and Part-time Employment case and the model conversion clause. Practical strategies for managing your casual workforce. In this live and interactive online event, Ai Group's National Manager – Workplace Relations Policy, Nicola Street, provided a snapshot of questions that regularly arise for organisations who have caught on to the growing research showing that diversity is good for business. Nicola was also joined by Sharon Parfait of the Workplace Gender Equality Agency (WGEA), who explained how business can get the most out of WGEA data when it comes to gender diversity. In an important follow-up to our series of online events conducted late last year, Ai Group is presenting the latest update on the Labour Hire Licensing Schemes in South Australia, Queensland and Victoria. In case you missed the online event or need to watch it back, please click on the image to view the recording. In this live and interactive one-hour session, two of Ai Group’s most experienced workplace relations practitioners will consider the consequences for employers of 2017’s big ticket cases, and consult their crystal ball to discuss what they expect to be some of the significant IR issues this year. In this live and interactive online event, two of Ai Group's leading experts in Work Health & Safety discussed why safety systems are important, what should be included in a successful system and how you can use a Standard to assist you to build a system to suit. The new Safety Management Systems Standard – AS/NZS ISO 45001:2018 – was also covered in detail. An unexpected employee absence can cost a business as much as $340 a day, while the annual cost to the Australian economy of lost productivity through absenteeism is in excess of $30 billion. In this live and interactive online event, Ai Group's Wellbeing & Safety Specialists outlined various health trends within Australia; why wellbeing should be considered a critical risk factor within your workplace; and the urgent need for businesses to adopt a more structured and practical approach to wellbeing. Asbestos management: Is your business compliant? In this live and interactive online event, Ai Group safety specialists were joined by SafeWork NSW to provide a comprehensive summary of asbestos, the risk it presents, and compliance checklists relating to mandated tasks under current WHS legislation – including your obligations around the identification, management and removal of asbestos in your places of work. Ai Group Safety Specialist Caroline Lange and Health and Wellbeing expert Peter Hryhorec will examine the need for businesses to adopt a leadership approach to safety culture in order to improve OHS outcomes and enhance the success of your business. In this live and interactive online event, two of Ai Group’s leading experts in Work Health & Safety provided a comprehensive introduction to musculoskeletal disorders and how to manage the risk in your workplace. Ai Group, in partnership with Siemens and Swinburne, has been piloting the Industry 4.0 Higher Apprenticeship program. The purpose of this pilot has been to create the first technology focused apprenticeship around the essence of Industry 4.0. We heard from Megan Lily, Head – Ai Group Workforce Development, who shared the benefits of the program and insights from the pilot. We also heard from two of the Higher Apprentices employed at Siemens, who shared their journey and perspectives on their jobs and exciting careers. In this live and interactive event, Ai Group Chief Executive Innes Willox was joined by Siemens CEO Jeff Connolly for a state-of-the-industry discussion, with a focus on what Australian businesses should be doing to remain competitive in this new global economic and industrial landscape. Innes and Jeff were also joined by George Bousamra, Operations Manager of Apollo Kitchens, who shared insights into his business's own Industry 4.0 journey, from the perspective of a local SME manufacturer. As industry continues to transition to Industry 4.0, newer technologies are beginning to emerge including Blockchain. While much of the hype over the last few years has been focused on cryptocurrencies, Blockchain also has many other potential applications for manufacturers and other industrial businesses. 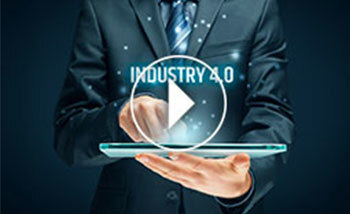 In this webinar, industry expert Ian Ryan, Solution Architect – Industry 4.0 & Innovation of SAP Australia, shared insights into what Blockchain means for businesses and their supply chain. 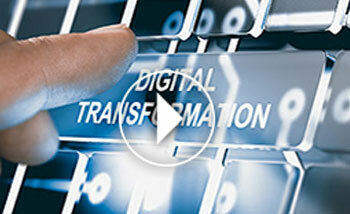 In this live and interactive online event, Marcus Dervin, the Managing Director of WebVine and author of the best-selling book Digital Transformation from the Inside Out, explained six clear steps to identify and then solve the challenges that are holding your organisation back and deliver an effective strategy for Digital Transformation. In this live and interactive online event, experienced executive coach Trevor Powell of Genesis HR joined Ai Group Leadership consultant David Tiller to identify the seven most important behaviours of effective leaders. In their discussion, Trevor and David also addressed evidence of the link between effective leadership and organisational performance; the best type of training or development to improve leadership performance; and the best way to develop self-awareness of leadership performance. 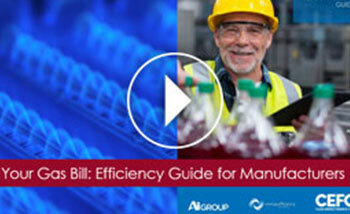 In this live and interactive online event, we expanded upon the Australian Manufacturing Gas Efficiency Guide developed by the Clean Energy Finance Corporation, the Energy Efficiency Council and the Australian Industry Group. Lower and more efficient energy use has never been more critical for Australian manufacturers to remain cost competitive, and this event was designed to help your business get there. 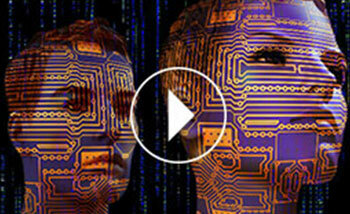 In this live and interactive online event, we invited industry expert Alex Lynch, Public Policy Manager of Google Australia, to help shed some light on AI and what it means for businesses. While it is difficult to predict what will happen in the future, it is important for managers to understand what is happening now and what they need to consider for their business and workforce. Companies like Google are leading the way, making AI a core of its business and recently setting out its own principles for using AI. In this live and interactive event, we invited Gadens' David Smith, a specialist in the area of privacy and data security, to outline the implications of the EU's new General Data Protection Regulation (GDPR) for Australian businesses. Ai Group's Legal Practitioner Director, France Thomas, also revisited the topic of Australia's Notifiable Data Breach (NDB) scheme in the context of managing data breaches that arise internally – something often forgotten in this important and very timely conversation. 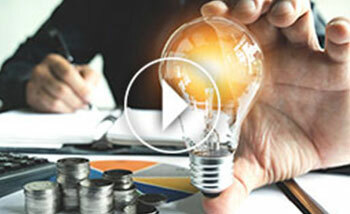 In this live and interactive online event, we were joined by leading energy contracting and efficiency experts to discuss market trends, the likely effects of new energy policies, how to get the best deals in the current environment, and all the energy management options for your business. In this live and interactive online event, we invited industry expert Berin Lautenbach, Telstra's Chief Information Security Officer, to illuminate cyber security as a boardroom issue for business leaders. He discussed current and major emerging major cyber threats – and shared practical tips for good cyber security posture. In this live and interactive online event, Ai Group members will hear from Bill on how business should be approaching innovation for the future and how business, government and educational institutions can work better together to deliver the graduates we need. 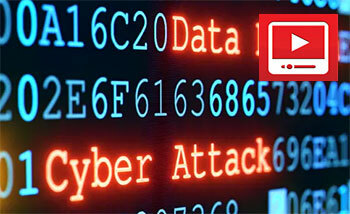 Critical business impacts of the new data breach notification law - are you prepared? With the new mandatory data breach notification law due to commence on 22 February, Australian businesses are asking how these new changes to the Privacy Act might impact on them and what practical considerations they need to make to prepare for these new laws. To help businesses get their heads around the laws, we have invited industry expert Daryl Sheppard from DXC Technology to present and provide businesses with an opportunity to find out everything they need to know.